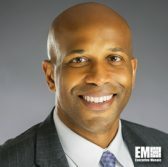 Tony Frazier, president of Radiant Solutions, has said the company looks at the potential use of geospatial data to support artificial intelligence-based training efforts in the public sector, SpaceNews reported Saturday. He told the publication in an interview increasing the access to public data can help developers create open-source machine learning algorithms designed to recognize objects present in radar and optical imagery. “Our goal is to make data openly available to facilitate the creation of great algorithms that we can then apply at scale against commercial and government sources,” added Frazier, a 2018 Wash100 recipient. Radiant, a business unit of Maxar Technologies, seeks to recruit professionals who possess data science, software development and geospatial analysis skills over the next year in a push to help address a demand for intelligence and mapping services in the defense market. SpaceNews estimates the Herndon, Va.-based contractor’s work with the Defense Department, intelligence agencies and the U.S. Special Operations Command accounts for 90 percent of its annual $300 million revenue.